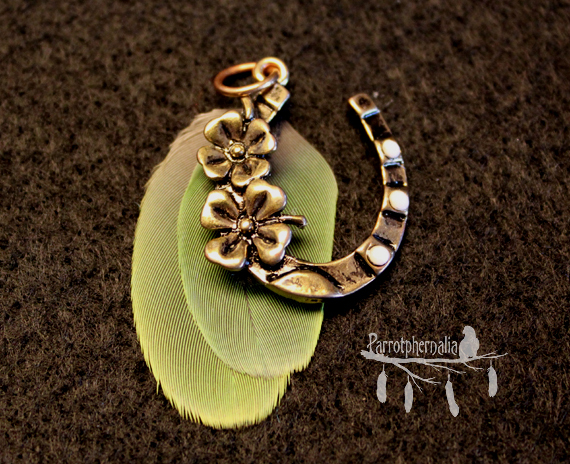 This pendant is made with recycled Conure parrot feathers and reclaimed jewelry. The feathers are a vibrant green with golden yellow to compliment the brass coloured key. The length of the pendant is 4.5 inches long. This would be a great addition to fancy outfit for a night out, or to dress up for a casual day at work.